Marcus Scribner Photos, News, and Videos | Just Jared Jr.
Ariel Winter, Olivia Holt, and Bailee Madison share words of wisdom at WE Day! 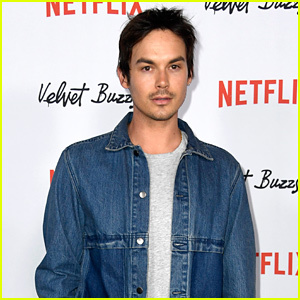 The Last Movie Star actress, the Status Update star, and the Good Witch actress joined forces at the event held at Tacoma Dome on Thursday (April 18) in Tacoma, Wash. 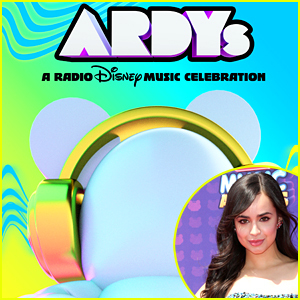 They were joined by Bunk’d actress Skai Jackson, ventriloquist Darci Lynne Farmer, Black‑ish actor Marcus Scribner, and “Level Up” singer Ciara. 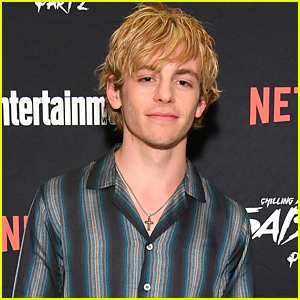 Also in attendance were Stranger Things actor Gaten Matarazzo, retired professional basketball player Kareem Abdul-Jabbar, A Quiet Place actress Millicent Simmonds, pop duo MKTO, and “Sleep” singer Johnny Orlando. Watch a clip from Bailee‘s speech below! Black-ish's Marsai Martin & Marcus Scribner Win Big at NAACP Awards Dinner! Black-ish stars Marsai Martin, Marcus Scribner, and Miles Brown walk the carpet at the 2019 NAACP Image Awards’ Non-Televised Dinner on Friday (March 29) at the Beverly Hilton Hotel in Beverly Hills, Calif. It was a big night for the young stars. Marsai won not one, but TWO awards – Best Performance by a Youth in a Series and Best Supporting Actress in a Comedy Series. Marcus picked up Best Supporting Actor in a Comedy Series. Also in attendance were Jane the Virgin‘s Gina Rodriguez with fiance Joe LoCicero, as well as The Passage‘s Saniyya Sidney and This Is Us‘ Lyric Ross and Lonnie Chavis. FYI: Marsai is wearing a Bibhu Mohapatra dress and Nicholas Kirkwood shoes. 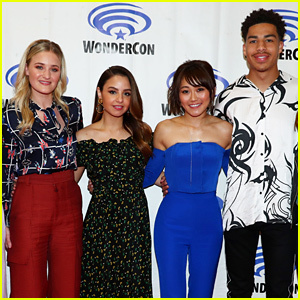 AJ Michalka, Aimee Carrero, Karen Fukuhara, and Marcus Scribner bring She-Ra and the Princesses of Power to 2019 WonderCon! The co-stars snapped tons of fun pics together at the event held at Anaheim Convention Center on Saturday (March 30) in Anaheim, Calif. 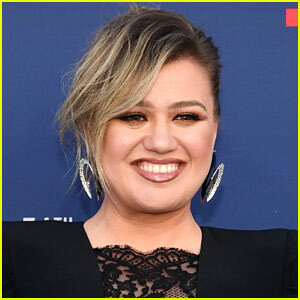 They were joined by their other co-stars Lauren Ash and Merit Leighton. In the animated Netflix series, She-Ra, Princess of Power, leads a rebellion to free her land of Etheria from the monstrous invaders the Horde. Season two of She-Ra and the Princesses of Power hits the streaming service on April 26. 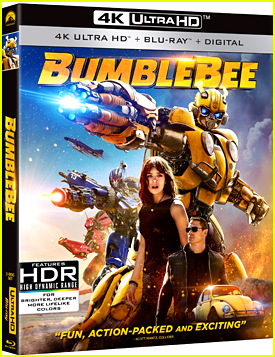 Watch the trailer below! The first trailer for Confessional was just released! The flick is an ensemble thriller filled with all your fave stars, including Marcus Scribner, Vanessa Marano, Paris Berelc, Brandon Larracuente, Jake Short, Annalisa Cochrane, Lucas Adams, Jess Gabor and Mia Xitlali. 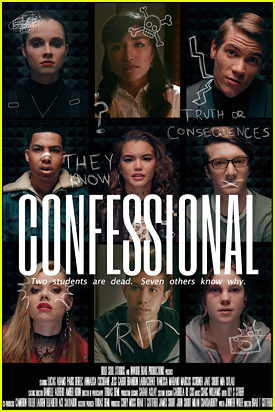 Directed by Brad T. Gottfred, Confessional takes place after two mysterious deaths at a college on the same night with seven students receiving invitations to a confession booth hidden on the campus. Their confessions slowly unveil the truth behind not just the deaths, but the booth as well. The mystery is entirely confined to the video confessional booth. The movie, which is co-produced by Cameron Fuller and Lauren Elizabeth, will have its’ premiere at the Method Film Festival tonight, March 22nd. Check out the trailer below now! Marsai Martin steps out for the Black-ish 100th Episode Celebration held at Walt Disney Studios over the weekend in Burbank, Calif. 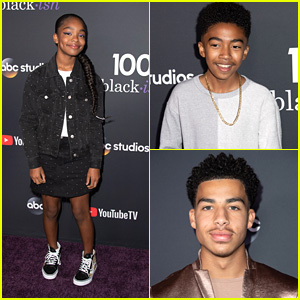 The 14-year-old actress was joined by on-screen brothers Miles Brown and Marcus Scribner for the event, celebrating this week’s episode, dedicated to Prince. Speaking to NYPost, executive producer and new showrunner Kenny Smith opened up about Marsai’s performance to “Purple Rain” for the show, calling it one of the best. Black-ish airs Tuesdays on ABC.